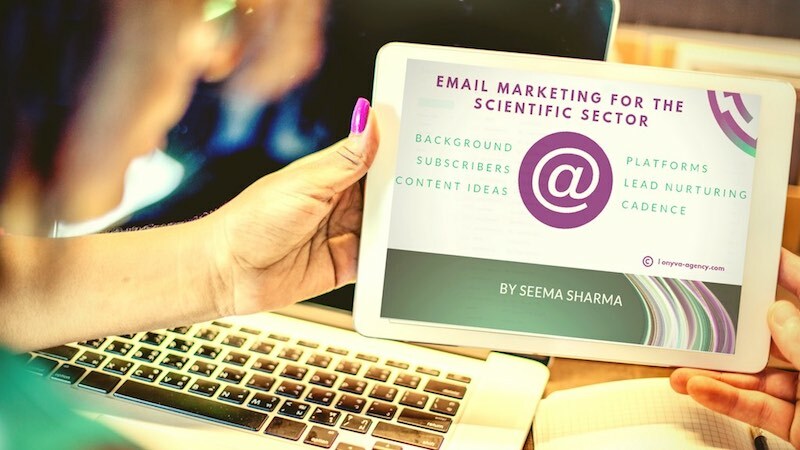 In our next series of blog posts, we’ll be covering practical approaches to email marketing for the scientific sector, including the life sciences and related biotech, pharmaceutical and medical diagnostics fields. In this post, we’ll take a look at establishing your list, content ideas for the scientific sector, prerequisites for a good digital strategy, and platforms to consider. Our next articles will cover, content, layouts, A/B testing, KPI’s and metrics. B2B email marketing in the life sciences and related sectors, requires critical differences in approach to the B2C and retail areas to be effective. A strong content hub, relevant to your scientific audience, to include all of the personas that are interested in your product offering, is a critical prerequisite to an effective email campaign. In fact, identifying your target customers, their demographics and personas, including a typical journey to purchase, is a critical task for planning your entire digital marketing strategy — including email. If you don’t know who your customers are, or their buying habits — finding that out is your first crucial step in the process. Typical customers could include academic researchers, industry researchers, clinicians and lab managers, amongst others, dependent on your company offering. They may need further subdivision if they intersect with different research focusses, clinical specialisms or stage of career. If you have sufficient numbers of each intersect – you need to produce tailored or specialised content that is deemed valuable to that demographic. To be the most effective, subscribers should be expecting to receive an email from you, having opted in actively. Note that the forms and opt-in need to be compliant with the data laws in your country, (GDPR compliant opt-in and emailing is required in the UK!). The latter all need to be posted on a landing page, with a plan to drive traffic to that page. Gating this content to include an email capture form that allows for key demographics, (e.g name, job, title, research field or clinical specialism and permission to contact etc.,), is a great way to expand and establish your subscriber list. SEO optimisation of your landing page will help it perform well organically. Promoting it through existing channels, like Social Media accounts can help spread the word and will ensure you have an integrated approach to your marketing across channels. A PPC (pay per click) approach can also be used here, using Google adwords, or Social Media advertising (promoted tweets, facebook ads etc.,). But be sure to do an A/B test to optimise the format and wording that performs best, and set a small budget in the first instance. This will allow you to gauge performance against parameters for quality leads, before committing to a full campaign. Not doing so can mean you have sub-optimal performance and can heavily overspend very rapidly. Organising events with key speakers on relevant research topics and including opt-in forms as part of the registration process. Alternatively, exhibition leads who opt-in at your booth in return for a give-away or competition. There are an ever increasing range of email platforms available on the market, that claim to solve all your email marketing problems. That coupled with the trend for marketing automation that encompasses email marketing as part of its offering, means the range has got even more complicated. The complexity of your emailing. (Some platforms only allow for a certain level of complexity). Road test a free version thoroughly, (if its available). Use recommendations — Do you know someone else that’s used a platform? Chat to them about the pros and cons of using it and any headaches they encountered. Data considerations – I recently worked with a client whose promise to its customers was that their data would not be transferred outside of Europe. As such, we had to exclude many platforms, as many data servers are housed in the US. Level of HTML and IT expertise in-house — Most platforms will require a certain level of HTML knowledge to allow for the creation of a unique template that will appeal to your target customers. There are off the shelf-templates in many platforms, that allow for drag and drop template design with reasonably straight-forward UI’s, but they will most likely need customisations to fit your branding, content and layout needs. Some platform providers have in-house template development and support as an add-on cost. Note, they’ll also be basic things to do on your site like DNS entries, to ensure the email is coming from your domain, alongside this. Also, if you are at the larger company end of the spectrum, and have other platforms in-house like Salesforce or an alternative CRM system, you’ll need to consider how to integrate your chosen email platform with it. Your layout should be reflective of your company’s brand and instantly recognisable as coming from you. A strongly branded header and footer can help with the latter. It’s tempting to add a lot of text heavy technical content into individual emails if you work in marketing the life sciences, or related Biotech and Pharma fields, but incorporating several images is crucial to make your content appealing. Subscribers like to click on images and they help considerably as content teasers. Consider what these images might routinely be for your company, ( e.g product images, research data and graphs, cellular microscopy images, etc.,), what size they would look optimal at, and how many it would make sense to have in your initial template. You can of course, produce several variations if you’ll have say one template for events, with a venue displayed, another for product offers and another for new content from your hub. Calls to action should be clearly visible as clickable buttons and include action words (join, view, download etc.,) to encourage readers to act and maximise click through rates. You’ll need HTML and text based templates. Its critical to view them in mobile formats, with this beginning to predominate over desktop views. The legal bit — your email must include your full registered company contact details and an unsubscribe option to comply with global data laws. As mentioned previously, it’s really important to know the personas of your customers, and their typical journey to purchase. If you are at the early stages of setting up a company, you may not have this knowledge to hand and you can use your email marketing and other channels to help feed data into this. Leads that have been newly captured through gated content, or at an exhibition, typically need some time to develop trust in your brand, and have sufficient product awareness before they commit to purchase, or can become qualified as sales leads. As such, you need to have a clear plan for your e-campaign to send content that enables this conversion. 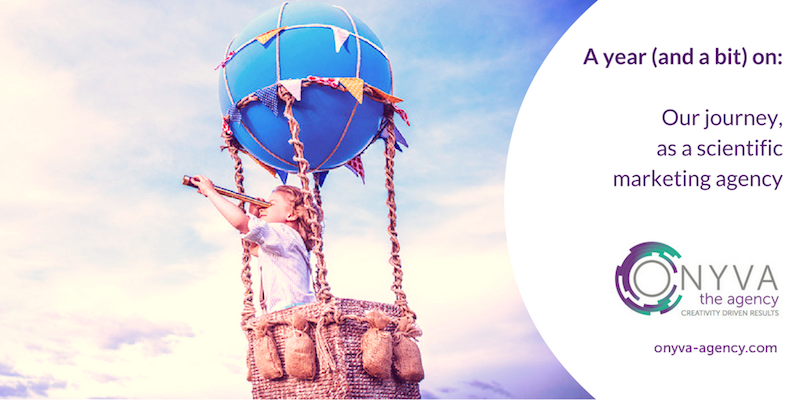 What would develop kudos and trust in your brand at the early stages of your e-campaign? To provide an example — if a cohort of your subscribers are researchers in a specific field – for example immunology, this could be a content piece on a newly discovered immunology pathway with input from a pre-eminent person in the field who is a current customer, or details of your companies attendance at a high-profile immunology conference or alternatively, a link to a high-impact peer review publication featuring your product. Ask yourself — how can you introduce your product in a way that would appeal to your subscriber and solve their problems or enhance their work? Describing how you can solve a research or technical problem for your subscriber creates the context and need for your product and service. 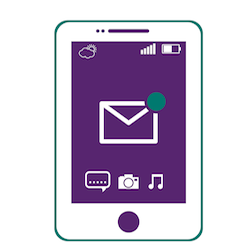 Email cadence, or how often you contact your customers is important to factor in when scheduling your campaign. You don’t want to bombard your subscribers with information that results in annoyance and a rise on unsubscribes. However, you want to make sure you contact them enough to ensure that brand awareness is maintained. Bi-monthly emails may be a good starting point. The key is to send valuable and relevant content and keep your eye on KPI’s for engagement and unsubscribes, to see what is working. In our next post we’ll be discussing email content, layouts, A/B testing, KPI’s and metrics. Good luck with your email marketing campaigns! If you’re in the early stages of formulating your B2B biotech, or life sciences marketing plan, or alternatively need some pointers to get started, you’ve come to the right place. Over the next few weeks we’ll be publishing a series of short articles and infographics to help with key steps. They’ll be based on our direct and extensive experience of marketing in the life sciences and biotech industry. Additionally, we plan to cover key marketing channels, goals and how to measure success. Our first article covers key background work that is needed in advance, before you formulate any effective life sciences marketing strategy. It’s important that you take time to ensure you have these fundamentals as a solid foundation to direct you — on both inbound and outbound aspects of your marketing. Dedicate some time in advance before outlining all the specifics plan details, including marketing channels and scheduling. You need to have a clear insight into your current customer base, and specifically what qualifies them as leads for your products. Ensure you know what lead qualification data you hold and where the gaps are — e.g email, job titles, location, life science research or technology areas of interest, sector (academia, Pharma etc.,), purchasing history, to name a few. Note that the latter should be captured through active opt-in from subscribers to comply with your country’s data laws. Ask yourself — can you split them into different personas, demographic groups? Do they need a different marketing approach and campaign? Who makes the purchasing decision? How do you keep in touch with your customer base and inform them about your products? What is the current approach used to retain customers and make them loyal to you? If you’re responsible for a specific product or product portfolio, you need to have a clear vision of the product USP. Which stage of the product life cycle is it at — introduction, growth, maturity or decline? Different approaches are needed for each stage. It’s common for a product that’s developed in-house to be preceded by a lab to launch stage. After initial feasibility and idea generation, considerable time and money may be invested for research and development, testing, QC and compliance. Alternatively, an OEM (original equipment manufacturer) model may be used, where a product or technology is bought and sourced from a smaller supplier and rebranded to be sold to your customer base. If you’re offering a unique product that you’ve developed in-house, you have an advantage in the market. However, you may also need to recoup considerable development costs with your pricing. A rebranded OEM product can have smaller margins but you forfeit development costs. Market positioning could be very different to an in-house product. Especially, if your competitors are doing the same thing or the OEM manufacturer is selling the product to customers directly as well. How do you differentiate your product to the customer? Critical to success are your brand reputation in the area and a better reach to the target market of customers. Other ideas include further in-house testing, more expedient delivery, and better support to help your re-branded product get ahead. What’s more, this advantage will need to be clearly communicated in your marketing messages. You should be aware of product pipeline for the upcoming year, including any planned new product releases prior to starting your annual marketing plan. You need to have a clear idea of the position you occupy in the market with your products, before you embark on marketing activities. This also feeds into determining your USP. Hence, a competitor analysis is a fundamental part of your marketing plan. You need to identify your competitors and evaluate their strategies to have a thorough understanding of their strength and weaknesses, relative to your offering. Annual projections for growth for product offerings need to be established to help prioritise your marketing activities and relative allocation of time and budget. Depending on your company structure, this may be the remit of the sales team. It’s important you have a clear understanding for the basis of sales projections. They may be based on year on year growth trends from previous performance (so-called bottom up), a company priority designated by the executive board or revenue required to recoup R&D costs of a new product. This will help direct your strategy. For example, in some cases the latter two reasons may require more initial time and effort allocation than the former — a product already in a sustained growth phase. You need to have an idea of your allocated fiscal marketing budget. If you have a joint budget pool for your team, it’s common to have to submit a plan as justification for the budget you receive. Doing your ground work is essential to provide direction and a solid foundation for your marketing plan. As your first quarter progresses, you may need to modify to account for changes. These could include unseen market factors, a new offering from a competitor for example, and sales performance. Indeed, adaptability is a key skill for marketers who suceed. However, researching thoroughly at the planning stage provides you with clear justification for the strategies adopted. Want to receive further life science marketing tips and high-res versions of all of our marketing plan infographics? Or get in touch with us for life science marketing consultancy now. In honour of International Women’s Day 2019 and Women in Science day, both falling in March this year, we’d like to thank and acknowledge all of the pioneering women who’ve advanced scientific discovery through a dedicated infographic. Women are still underrepresented in STEM, so we hope that these scientists serve to inspire others through the significant contributions they have, and will continue to make. Onyva The Agency launched in September 2015, as a specialist scientific marketing agency. Founded by our Managing Director, Dr. Seema Sharma, our aim was to provide marketing excellence for life sciences, medical and technical fields. Since then, we’ve had an exciting journey working with several clients in diverse fields. These include medical diagnostics, scientific publishing, software and biotech, to date. The feedback we have to date suggests we grasped technical product concepts quickly. Clients stated that this saved them time in explaining concepts, and their campaigns benefitted from this understanding. This was particularly valued for content creation, infographic design and targeted email campaigns. We’ve always ensured the latter were tailored to our clients customer base, taking time to discuss individual customer personas and messaging. ‘Onyva The Agency has provided concise, targeted and well crafted articles for the Mendeley Careers website: the content has bolstered the site’s reputation as well as its Search Engine Optimisation. Seema is a consummate professional and a pleasure to work with.’ – Dr. Christian DeFeo, Product Marketing Manager – Mendeley | Elsevier. During the last year, our clients have varied considerably. We have worked with start-ups, possessing no marketing infrastructure, who are at a preliminary stage of establishing their brand, product and customer base. In contrast, our marketing agency has also helped established companies, founded over a century ago. As a result, we have had to take a highly adaptive approach to our clients. Critically, we’ve always taken time at the start of a project to assess a client specific needs. We’ve communicated this in depth with our partners, to ensure we focus on the right marketing channels with content relevant to their phase of growth. Seema Sharma, Founder and MD, Onyva The Agency.